This weekend I am meeting people I’ve never met before. I’m so excited to be going out to a restaurant with a couple of my best friends but I’m nervous too. I don’t have much to talk about. Every topic can be brought back to M.E. I won’t be able to get up and dance, I can’t drink alcohol and I probably wont be able to stay out longer than a couple of hours. This is when having M.E becomes even trickier for me. I don’t want them to think I’m dull and boring. They will meet this young woman, in nice clothes and wearing make up, and they will have no idea about the days (yes days) of preparation it has taken for me to get to that restaurant for 8:15pm on Saturday night. Why should they care anyway? I’ve had to mentally gear myself up for the noise of a busy restaurant on a Saturday night, for the lights and smells and the food that may or may not agree with me on the night. I plan to wear make up and my pre-M.E clothes and, fingers crossed, even a pair of heels. I hope to look ‘like myself’ and I am so excited. But I have already started to worry these people will think I’m not really ill. Would it be better to go as I am, one of The Great Unwashed, and leave everyone with no shadow of a doubt that I’m “the ill one”? That’s a very brave thing to do; to expose that vulnerable version of yourself. I’ve done it before many times but this time I want to go as ‘me’. Going as ‘me’ means more suffering. I will use energy applying make up and wearing clothes that, while they aren’t uncomfortable, aren’t the comfiest. If I wear heels my poor legs will absolutely hate me when I get into bed that night…and for the days afterwards. This topic opens up a can of worms. I don’t want to look ill, I don’t want to be ill, but I want people to believe me when I say I am ill. I want to be free to dress up and wear make up and look my best, if I’m well enough to, without having to think about whether it will leave people confused when I say I’ve been incredibly, physically poorly for over two years. But I need to learn and remind myself that I have nothing to prove to these people. This desire to educate people about our truth with M.E mustn’t get out of hand. Sometimes it consumes me but I must remember that people cannot and will not truly understand the severity of M.E unless they suffer first hand. I cannot change the way other people think no matter how often I post a picture of me in my pyjamas or the bags under my eyes or my unkempt hair. I know I’m ill, I know the truth so what does it matter what others think. But at the same time we, as M.E sufferers, have everything to prove. We have to prove and persuade our doctors that we are ill. We have to prove to the DWP that we are as severely affected as we say we are. We have to prove to our employers that we really are unable to keep working. We have to prove to our friends that we’re not cancelling plans because we can’t be bothered but because we are too ill to keep them. 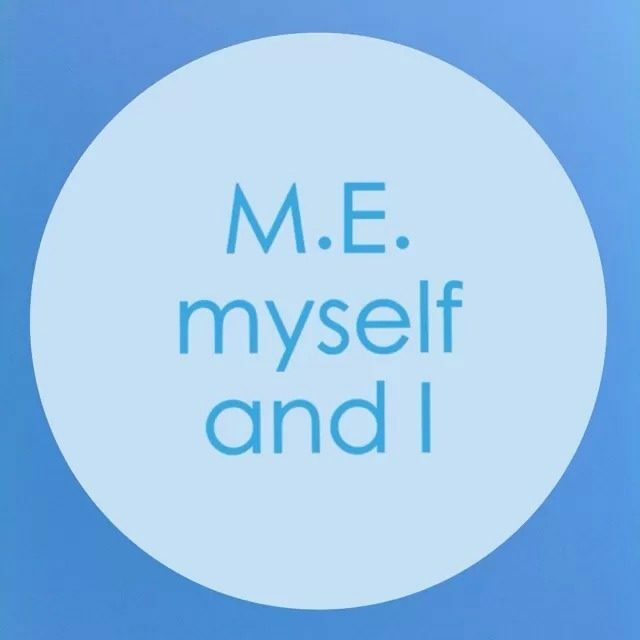 We have to prove to society that M.E is a horrendous, serious, chronic illness. We have to prove to everyone that it isn’t a case of pulling ourselves together. My blog, in part, is my way of proving how real M.E is. When people ask if I fancy going out for a walk it makes me feel like it’s all falling on deaf ears. Telling me “Well we’ll see how you feel on the day”…it’s so lovely that you are hopeful and have faith in me and encourage me, but please, believe me when I say I can’t do it. It’s not me being pessimistic. It’s not me giving up. It’s just my reality. I cannot walk very far (definitely not 100 metres) and if I could, on those really good days, I would suffer so badly for it. Day to day I am able to walk around the house; usually up the stairs once or twice and along the hall between the kitchen and living room. On good days I also walk the ten metres down to the bottom of the garden and back as a part of my rehab. That’s it I’m afraid folks but that is incredible for me as an M.E sufferer! Believe me. Please. Just believe me. I do have something to prove. I have everything to prove because the reality of M.E is unfathomable and seems so far fetched. I almost feel it is my duty as an M.E sufferer to educate people about our reality. At the same time I need to let go of this need to share and show the truth all of the time. There needs to be a balance. I’m still learning. I also just hate that aspect. people see me, they do not believe the 'sick' part. (nope; more like 'you should be working!' 'you ought to at least be in school!' 'you should work and be in school! no wonder you're so down; you haven't done a thing in such a long time..!'). well, it is so much more than being simply 'down.' being depressed or whatever it is that they have made up their minds to define how I actually feel by! sometimes I get my hopes up when a (new to me) dr or medical person states 'yes; I'm familiar with that. I've heard of it..' and then? turns out they do not know anything at all other than what most say; it's all in our heads. well .. yeah; there is some truth in viruses somehow attacking the CNS (that is located 'in the head, right?!) but it's much more. sorry I'm depressing.. just feeling poorly as it's rained most of the week here and this always goes over badly with how I feel in general. Even though I am severely affected and need a wheelchair, one of the first questions I am asked when introduced to anyone is what I do for a living. When I reply that I'm chronically ill and normally housebound except on rare occasions when family are visiting and can provide the extra support I need people look sceptical. I may be out of the house for less than an hour for the first time in weeks but because I look relatively healthy for that hour people assume I am just making excuses. Even some of my carers wonder why I don't work as I try to sit up and chat with them for short time they're there as they're the only company I get in a day. Just this week I had a lecture off someone that being in a wheelchair was no reason not to work. I gave up trying to explain to them as it was clear they weren't really hearing what I was trying to say. I think that it's more important to worry about how you can make yourself feel. I mean if you're going out and you haven't done so in ages then of course you will want to look your best. And that's a good thing. Doing things that promote our own well being. Just like putting on your favourite film. Of course it takes energy. It does take a lot of self acceptance though to be able to say that you have made the effort for yourself and not to worry about others opinions. Afterall they are only in our lives for short moments of time.